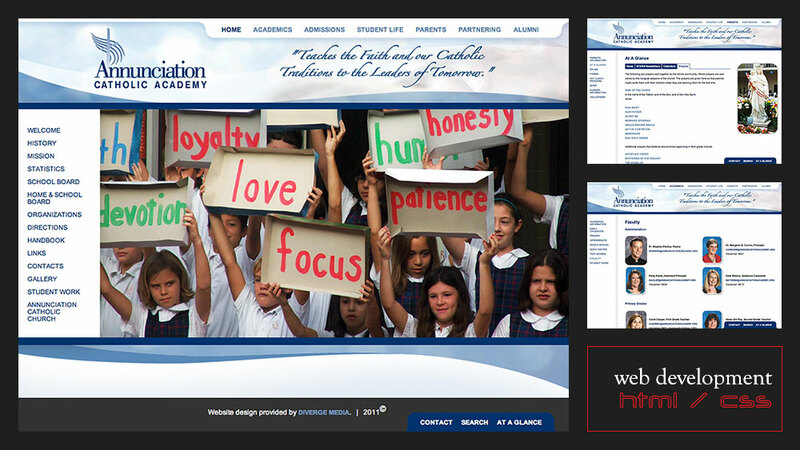 Annunciation Catholic Academy was looking for a creative solution to organize, display, and update their large amount of content. The chief consideration for their new website was page and navigation templating to allow for simple site management by the client’s web content manager. All flash slideshows were dynamically created to allow for easy image replacement. 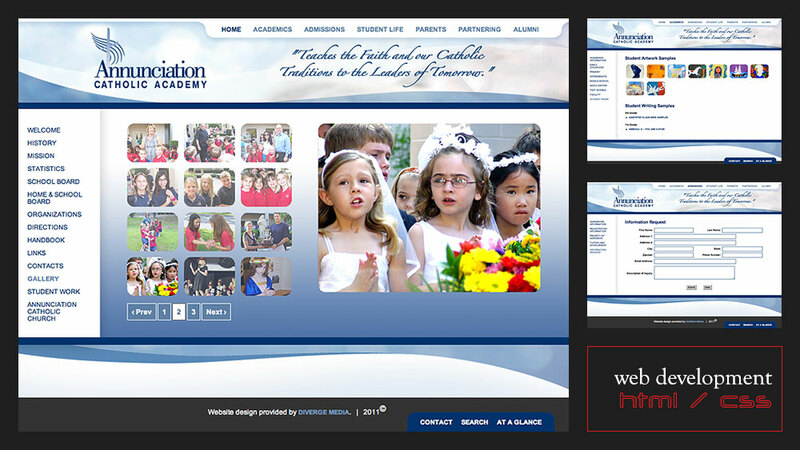 The site was also configured with multiple stylesheets to change images and colors in alignment with the church’s liturgical calendar. Internal page content is organized by tabs to simplify and reduce levels of navigation. Accordion page content is also employed to save space and reduce user scrolling. Additionally, the client requested a sticky footer so that important links were always on visible on the user’s display. Lastly, the a site search was configured to help better manage and locate content for users. This website has all the bells and whistles and the result is one we are very proud of!